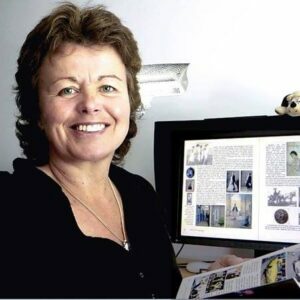 As the latest in our occasional series of writing and self-publishing memoirs, Sally Hedges Greenwood ARPS shares her specialist experience of creating one driven by its photographic content, as part of a planned series of photographic books. It took me four decades to finally commit those words to paper and another 2 to add ‘– a survivor of child abuse.’ I have lived a life with photography that was previously overshadowed by the abusive events of my childhood. In 2004, when I was in my early 40s, I started to separate out the jumble. In 2014, I published a limited edition tome of over 400 pages, including 1,300 photographs, which had taken eight years to write and put together. Entitled With Photography – not just an autobiography, the last word I added, having deliberated about it for some time, before I uploaded the .pdf files to the publisher was on the title page: ‘UNABRIDGED’. I realised there was more work to be done. 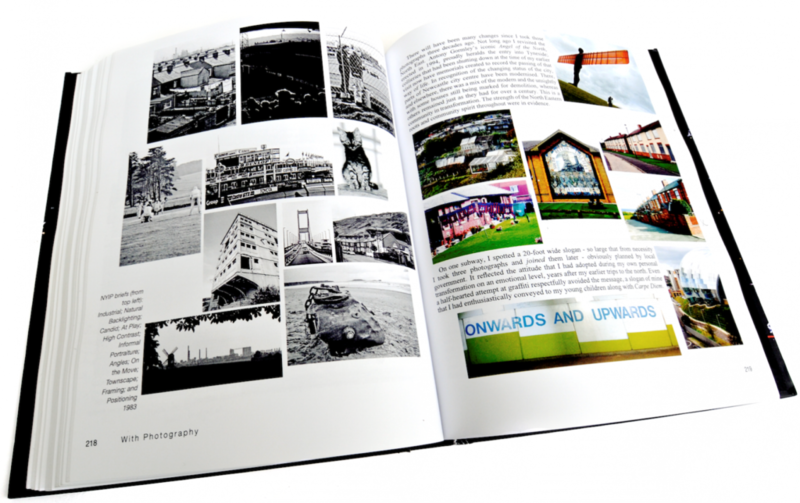 My ‘photobiography’, Making Connections With Photography®, was published two years later. It reveals the connections that I have made between my family history and my life with photography. The photographs that I took at the various stages chart my story as I survived, grew up and eventually moved away from the effects of a prolonged abusive situation that started when I was just nine years old. Each stage of my development includes its visual metaphors, as I came to call the type of photographs that I took at each particular moment. In Making Connections With Photography® I reveal the photographs with their associations that were too raw and complex to explain or even understand, until now. I first learnt of my heritage and family history from family photographs kept in an old brown cardboard box our mother would delve into when she needed to distract my sister and I when we were unwell. Our minds were whisked away from our sore tummies – and the accompanying kaolin and morphine – as we marvelled and laughed at the stories we were told. 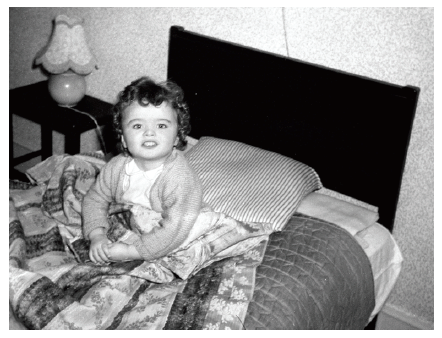 This was my introduction to photography and also, subliminally, to the use of the medium as ‘therapy’, not only for me; I came to realise that my mother had used these photographs as a coping strategy of her own. The eldest child, in this family grouping of my ancestors, is Great Aunt Nell who became the adventurous woman below – the first British woman to fly over the Swiss Alps, or so the family legend has it! I’d grown up as a privileged but vulnerable child of parents who were still coping with the after-effects of the Second World War and the recent death of my grandmother. They were totally unprepared for the present, but my mother’s body clock was ticking. She was 38 when I was born in 1957. The farmhouse that we lived in with my grandfather was huge, scary and very dark! So dark that an upside-down image could clearly be seen on the wall of an internal passageway when the morning sun was shining, I stopped dead in my tracks the moment I saw what I now know was a real camera obscura projected through the keyhole of the dining room door. I was onlyfive years old. I ran into the kitchen and enthusiastically tugged Gramps’ arm to come and see. Years later, when I had the ability and equipment to do so, I photographed it. 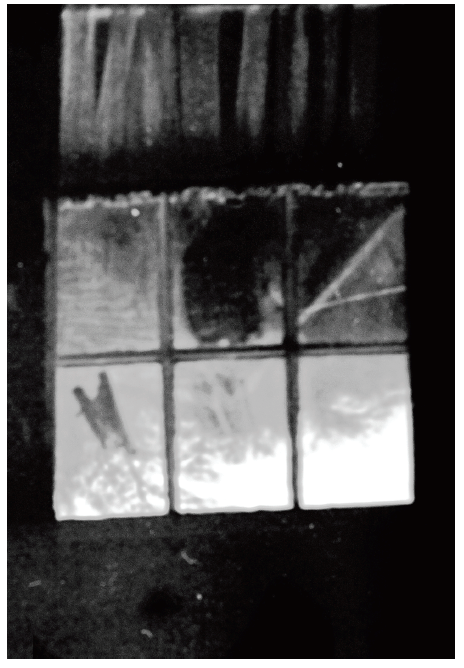 The actual camera obscura, as I saw it, back in 1962 –the upside down image of our barn and damson orchard as seen through the Georgian window (with half net curtain). 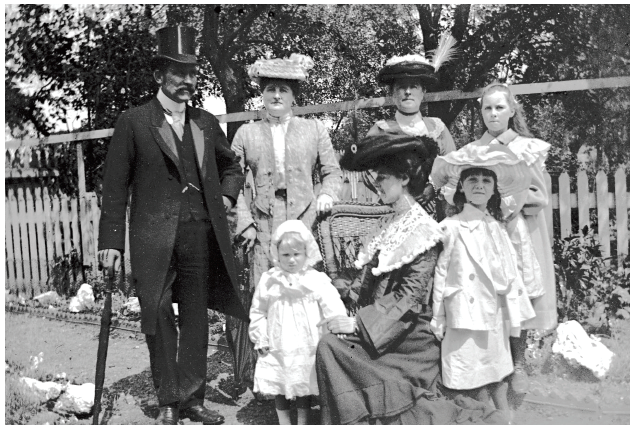 My research revealed only recently that it was my grandfather that had taken the grouping of my affluent and formal Victorian ancestors on his first day at boarding school, in about 1889. Perhaps, as a photographer himself, my observation impressed him because, soon after, he gave me my very own camera. From that moment I used photography in the many and different ways I share in Making Connections With Photography®. Without realising it at the time, by taking and creating photographs I have led myself through the process of survival and understanding. Learning to analyse the photographs of others, I discovered a power in photography – for the photographer – that then meant I could decode the photographs that, unlike a written diary had I kept one at the time, was only previously understood by me. 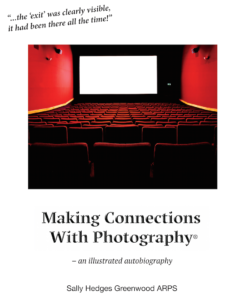 Making Connections With Photography® shares my story. OVER TO YOU If you have used photography in a creative and unusual in your self-published books, we’d love to hear about it! Sally Hedges Greenwood ARPS is an Associate of the Royal Photographic Society and director of SAbstract Ltd. For more information about her work, please visit www.withphotography.co.uk. There is a question which is puzzling me. I am in the process of writing my autobiography which I am going to self publish it. However, I have a few old photos which were taken in the middle east in primary school and secondary school in the 1960-1970. These are group photos and I am not sure if it is legal to publish them or not. Any advise will be greatly appreciated. Thank you for sharing this. I love photography and always believed it could tell stories that mere words could not. There are so many ways God gives us to pull us out of our often painful realities. Writing and reading saved me, and at the same time made me believe in, and hope for a better day.